As every cyclist knows the Netherlands is as flat as a pancake, bar a few hillocks in the province of Limburg. However, over the last few years, the Netherlands had become riddled with valleys. Food Valley, Metal Valley, Seed Valley – the country is positively mountainous. The fashion for valleys can be blamed squarely on the wits of those who decided to call part of California Silicon Valley because of all the tech companies that are based there. Perhaps not realising that this area in American actually was bound in by hills, Dutch PR whizzkids have leapt on the valley concept and use it to describe any cluster of industrial activity. Here’s a list. Food Valley is not an area where five star restaurants are jostling for space but a commercial partnership between lots of companies and what they call ‘knowledge institutes’ dealing with (agro) food production and innovation. How green is this valley? Quite green in fact, as Food Valley inexplicably takes in the Veluwe Natural Park as well where not much food production is going on. Here’s a map. Energy Valley is also a partnership, in this case between energy producers. This particular valley is comprised of the provinces of Drenthe, Friesland, Groningen and Noord-Holland Noord, so roughly the country’s top bit. The valley is home to 4,550 companies and 31,300 full time jobs, all in the business of producing (sustainable) energy. Given that large swathes of Groningen are actually sinking because of the gas industry, this is one valley that could actually become a physical thing. Health Valley sounds like the sort of place where rich silver-haired octogenarians play golf. But no. Where the other valleys can define their location, Health Valley has dropped all pretence and simply calls itself ‘an innovation network’ which any company to do with health can join. If Immuno Valley were not a non-physical place it should really merge with Health Valley to form, well, to form Paradise really. Man and beast alike would live forever in the safe hands of top pharmaceutical companies and top veterinary researchers. But it is not. Sadly, it is just another network. This one is not a place either but ‘platform’, not made of of good sturdy Dutch metal but a metaphorical space. On it are perched the usual suspects of companies and knowledge institutions. Metal Valley is particularly focused on innovation in the face of a lack of raw materials and improving the link between industry practice and training institutes. As all valleys are. At last, here’s a valley that is, potentially anyway, green. Seed Valley is in the Kop of Noord Holland, just underneath the Wadden islands. Seed Valley companies develop ‘green software’, i.e they fiddle around with the genetic makeup of plants so they become resistant to disease, become more productive or taste different. Before you think ‘Monsanto’, Seed Valley wants to be ‘at the source of healthy food and a flourishing world’. The latest of the Dutch valleys is Cheese Valley, conjuring up a happy image of hills and vales made entirely from delicious cheese. 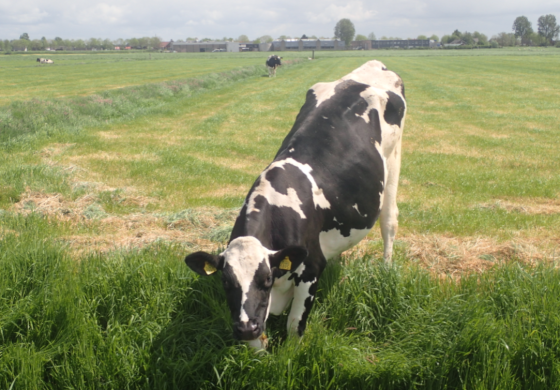 This valley – which exists only in the minds of the bright sparks of the Dutch tourist board – is made up of four cheese producing areas, to wit Gouda, Bodegraven-Reeuwijk, Woerden and Krimpenerwaard. It is also called ‘the yellow heart’, which sounds as if a trip to Health Valley should be next on the itinerary.